It takes more than just a diet to keep your weight in check. A good weight-loss programme must have behaviour modification for long-term success. Regaining weight goes beyond just going back to old eating habits. As you drop weight, your body triggers mechanisms which encourage regain. There are several reasons why dieters can’t keep their weight off. Many studies have shown that when overweight or obese people lose weight, their bodies undergo hormonal changes that increase hunger and satiety. Leptin is a hormone produced by fat cells, which regulates appetite. It tells you when to stop eating. When the body loses fat cells, leptin levels decrease. 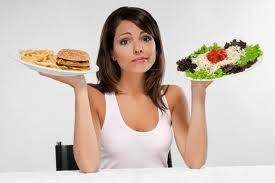 Lowered leptin levels trigger hunger and make it harder to feel full with lesser food. Leptin levels can fall by as much as 65-70 per cent when the body loses fat. These hormonal changes persist and may even become permanent. Other appetite regulating hormones like ghrelin and peptide YY also alter in a way that favours weight gain. There may be several other complex mechanisms and hormonal changes which may make you put on weight because of which regain of weight is a strong possibility. The nature of the diet also makes a difference. Following fad diets or going back and forth on diets also triggers the rebound effect. It lowers metabolism by 5-10 per cent, favouring easy regain. Then there is the issue changing habits. Without a permanent change in unhealthy patterns of eating and living, it is highly unlikely that weight loss will stick. For example, the benefits of having an early dinner will last only until it is done, and if you go back to eating late, you will begin to put on weight again.